Ankhon Dekhi is a must watch. It's extremely funny, Has some of the best actors in superb form, a soundtrack that complements the movie very well and it's got this amazingly unique and brilliant story. It was easy to miss Ankhon Dekhi, when it was released back in March 2014. Within a week, the movie was wiped of from all major theaters, not because it was bad but because it failed to generate any interest in the audience ( a pity!). It's available for home viewing now and can be found on the iTunes Store and be rented for Rs. 120. "I liked it better when Steve would just explode into a wild rage and threaten to go nuclear on us". - This explains the entire difference between Cook & Jobs' way of working. It's January 9th 2007, Steve Jobs is on stage, he's showing the world a better smartphone. You already want one. It's beautiful, elegant and potentially life changing but you don't see a lot of use instantly. 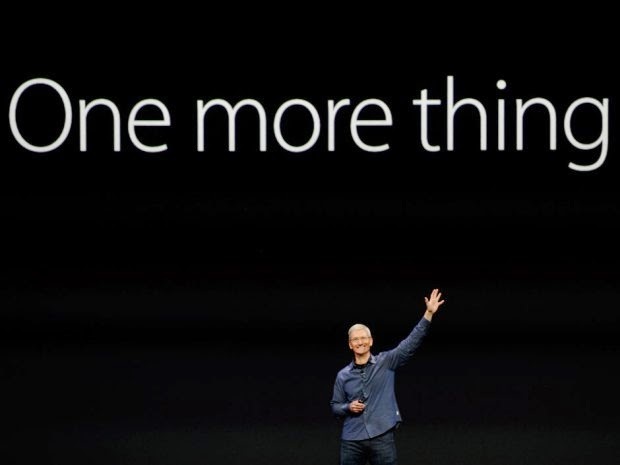 That's exactly how it felt when Tim Cook showed the world Apple's first generation SmartWatch this week. It makes other smart watches seem like ancient stone work. First it's a watch. 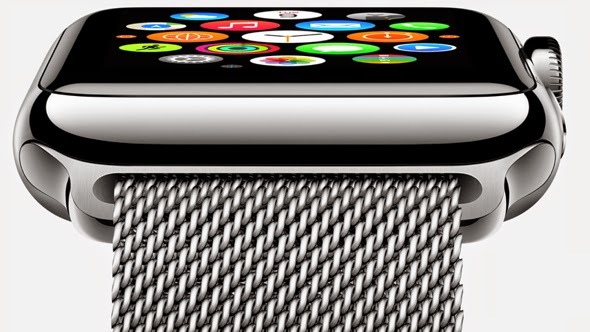 Looking at the Apple Watch from a watch buyer's perspective, I'd say it's pretty neat. Nothing comes close at this price range that's as beautiful or as well made as the Apple watch. Add to that the watch faces are phenomenal, I specially like the analog watch faces, they look elegant! "Apple got more details right on their watch than the vast majority of Swiss and Asian brands do with similarly priced watches, and those details add up to a really impressive piece of design." Looking at the watch one realizes just how much detail has gone into the making of the Watch. The curved glass blends perfectly into the stainless steel watch enclosure, the rich detail on the digital crown gives it the right fit, finish and feel for a watch crown. 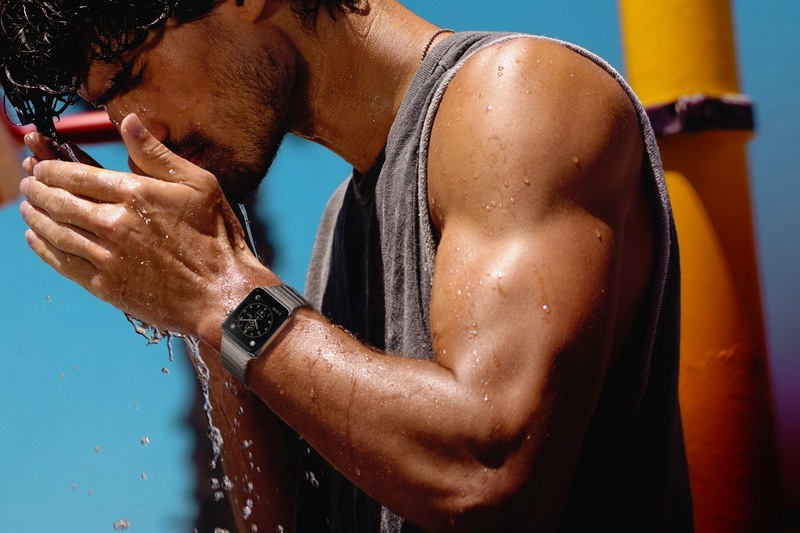 In terms of sheer watch design Apple's competing with neither of Motorola, Samsung or Pebble. It's taking a direct shot at brands like Tag Heuer, Seiko or Hublot. 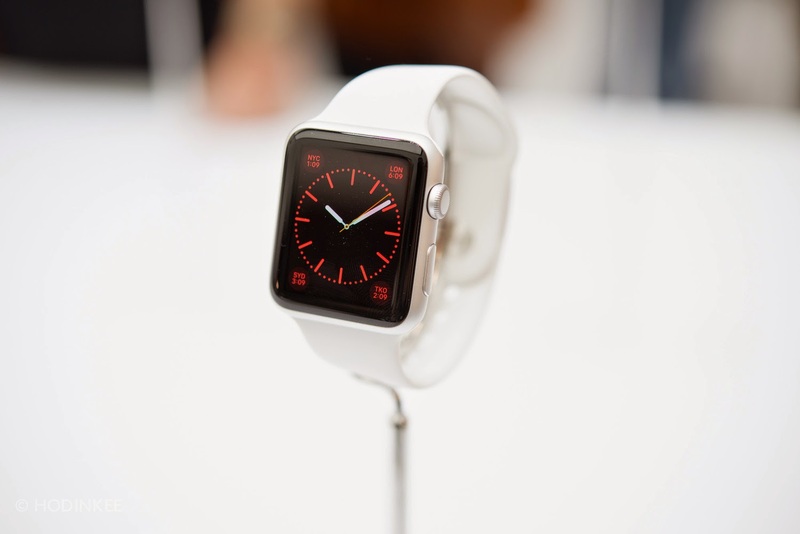 But The watch's construction is quite like any of Apple's first generation products. Just like the first iPhone or iPad, it's a little thick, the screen resolution could get better but I'm sure that the Apple watch will only get better and thinner in the next few generations of the watch. design. A few months back when I first heard the rumor of an apple designed watch, I looked at mine and instantly felt the need of a better strap, I've used a leather strap before and am currently using a velcrow strap for my wrist watch and both of them are quite terrible. Looking at the six different strap variants I was quite pleased to see the Milanese Loop and the Leather Loop feature in the list both of them solve my watch strap problem quite efficiently. I guess the Milanese loop might be more high end but that's the one that I've found most appealing yet. As for the software, I like the customizable Watch Faces and the new messaging app which allows you to draw and send short messages to other Watch users. But the thing that's most exciting here is a feature called “Glances” which basically presents quick access to things like the Weather widget or the Apple TV Remote. 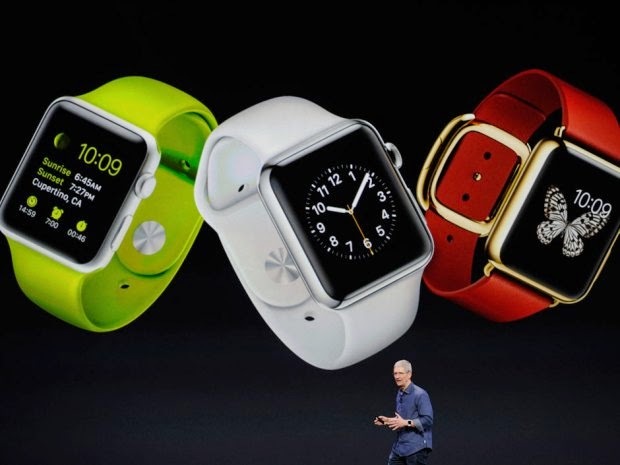 It's going to be very useful and I guess a lot of people will end up using Glances more than the Watch Apps. The new Typeface is pretty good over here, when printed on the back of the watch, it reminds me of the text writtent at the back of some of the analog watches, in the OS with lower case text it is far more legible than Helvetica or Lucida Grande or even Myriad Pro. There was some claim that it felt similar to roboto, I compared both of them and the differences are quite big. Take the letter R for example, Roboto has significant Helvetica Influence, while the Watch Typeface is more similar to Lucida Grande than Helvetica. During the demo, a lot of apps were shown, of which Some of the apps felt like they wanted to show too much on a tiny screen. But I really liked the Starwood Hotels app which allows you to unlock your room by waving the watch. The BMW app and Apple Pay are quite neat too. Also, Apple's Fitness apps are quite interesting. It's still early days for the Watch Space and already a few apps seem to stand out as experiences just meant for the wrist. There's a lot of scope for interesting ideas in here. I think what's important here is Taptic Feedback, and Digital Crown. The interactions these two define will shape the direction in which Watch apps will go. Price is the key here, it's $349. Another Affordable Luxury sweet spot. If you are looking for a cheap workable wrist watch that costs less than a $100, you'll be disappointed. But if you were planning to buy something in the range of $200 - $500, the Apple Watch May be your best bet, even if you are just looking for a watch. The apple watch does leave a few questions though. For instance, what's the upgrade cycle going to be like? People tend to use Watches for a long time , it's definitely not something that one changes every year. Personally I feel a minor update every year followed by a major update in every two-three years is going to be fine. And then there's the all important question on battery life. From the subtle hints that Apple dropped in the keynote, it feels like the watch will have at least a day of battery life at launch. But Apple's got roughly six months to launch this device and I'd be surprised if they didn't go on to improve its battery life from what it looks to be now. As the keynote finished, I realized the atmosphere was similar to that of the initial iPhone and iPad Launch. I really want the Apple Watch, it's beautiful, elegant and something you'll instantly want to wear. I don't see a lot of use for a "smart" watch instantly, but I'm quite certain that just like the iPad, 3rd Party apps will eventually carve out incredible uses for the Apple Watch. I can already see Starwood Hotels and City Mapper leading the pack. 1. The iPhone design and plastic bars. Some time back in 2012 Apple announced what was perhaps their best designed iPod ever. The 5th Generation iPod Touch. That device's back was a clear indication as to where Apple wanted to go with it's new iPhones. The iPhone at that time had an aluminum back with two glass panels at the top and bottom of it. It was clearly visible that engineering constraints made apple do that. Limitations at the time stopped apple from bringing an all metal back to the market without destroying call reception. Jump to 2014, and Apple's out with a completely new all metal design for its new iPhones. It's nothing short of an engineering marvel.. But some plastic bands still exist. Apple's design feels great, it's one of their best works yet but at the same time it feels like a compromise. There's a Slight room for improvement here. The camera protrusion can be ironed out, the plastic bands wiped out. The design is no doubt great and while this may be the closest we've got to a perfect Aluminum back for the iPhone, I guess the iPhone 6S or iPhone 7 might have significant updates to the design which bring us much closer to the extinction of plastic bands from the iPhone. I'm not to sure about the NFC tap to pay machines that'll enable iPhones to pay via a single tap and authenticate via TouchID but I'm sure that the Apple Pay for online transactions is going to be big. Most online transactions generally require a one time passcode or login Ids to authenticate a payer's identity. 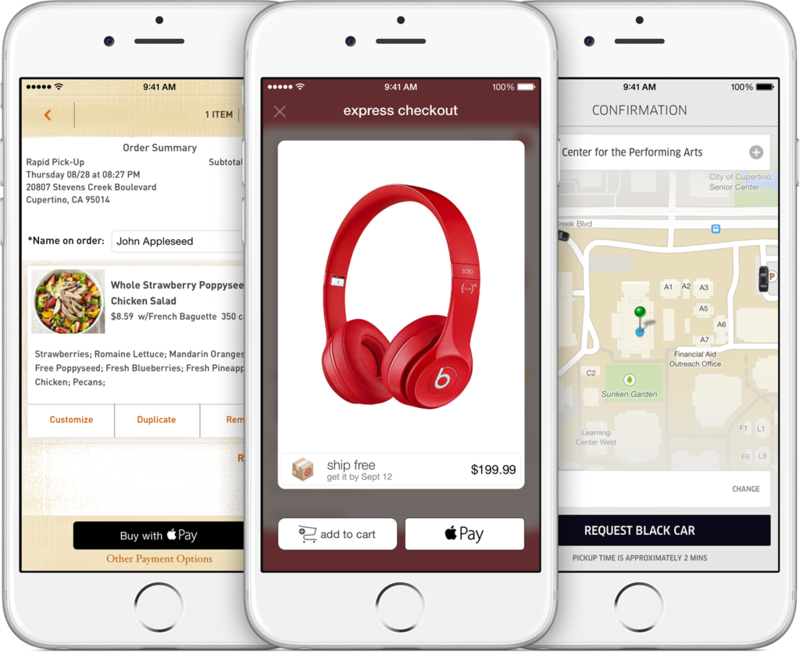 Something like the Apple Pay can be highly successful here. You just need to authenticate via your finger print to purchase something, getting rid of the extremely inconvenient login passwords that one needed to enter before every transaction. But The international availability of Apple Pay is going to be a big question here. For India it's just a matter of how quickly RBI approves finger print authentications as passwords for online payments. 5.5-inches just feels too big to me ( and to lots of other people) but at the same time there are a good many customers looking forward to something this big. First, a 5.5-inch phone handles content creation lot better than how a 4.7-inch device would. And Secondly, the screen is far better for on the fly entertainment like watching movies. If those two things are your priority instead of something more pocketable, I guess the iPhone 6Plus is a no brainer then. Another interesting point about the new iPhones was made on John Gruber's show sometime back, he says that it may look extremely awkward to hold something as big as an iPhone 6Plus to your ear but the way forward in phones hardly involves that gesture any more. In fact the screen matters more if you are using something like FaceTime or Skype. In the end I guess the phone screen sizes are going to become like Laptop sizes, there still exists an 11-inch MacBook Air and a 15-inch MacBook Pro but the sweet spot for a lot of people is the 13-inch Variant. I don't see why the phones won't follow a similar vein, with 4-inches being the smallest but going all the way up to 5.5-inches if someone likes. For me, the 4.7" on iPhone 6 is the maximum screen size that I can go to. I still think 3.5" or 4" are the optimum sizes for a phone. 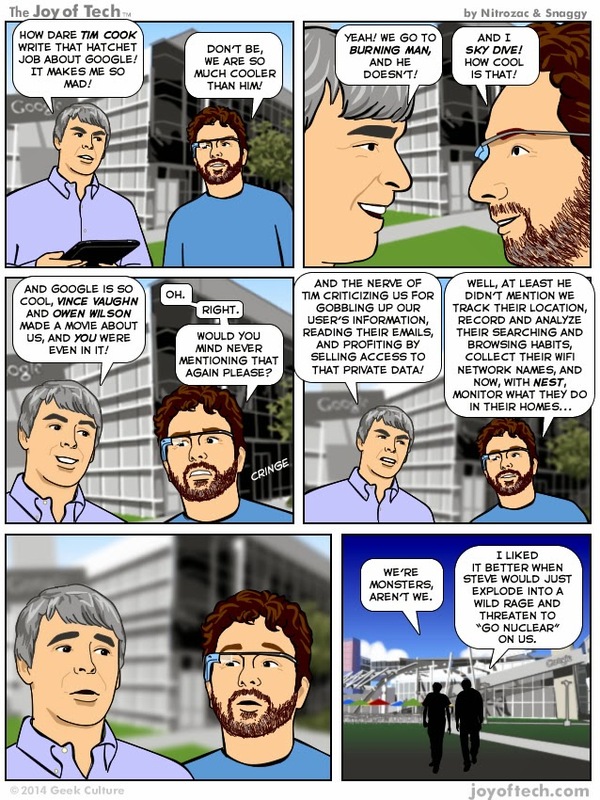 When it comes to Camera updates Apple goes on a nerd roll during its keynote. There's hardly a thing I understood about the new sensors but the gist of it was that the iPhone would get a lot better at Auto Focus and Low Light Images. 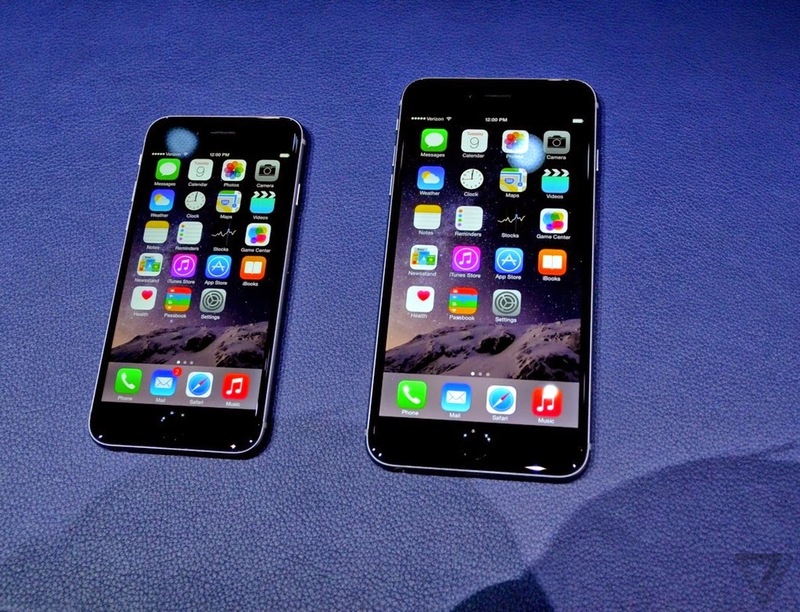 The iPhone 6 and 6Plus are solid upgrades to the iPhone lineup. I personally like the 4.7" iPhone 6 very much. 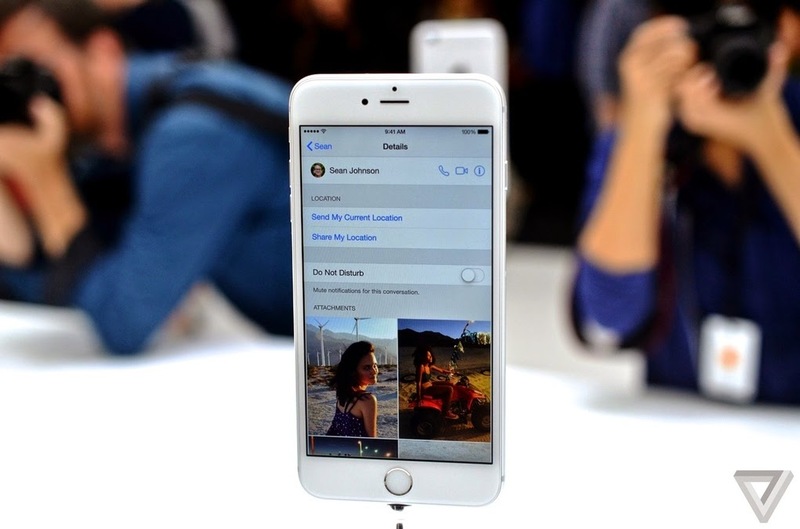 I'm particularly excited about the camera improvements and Apple Pay in the new iPhones. There's a strong echo of iterative design here, a reluctance to do too much in one iteration. This is something I strongly admire about apple's products. While every generation of their new product is just a small iteration but even if you look at something that's 2-3 generations old, you see how big a change the new one is. For a long time now, there've been rumors of an iWatch, which we might eventually see take shape sometime in the near future. There's a lot that everyone's hoping for. And While this may not be as big a launch as the iPhone or iPad, it's certainly the most challenging piece of hardware Apple's ever made. For it's not competing with engineer-obsessed tech companies like Microsoft or Google this time. It's competing with experts in the world of Watch design. Ive is taking on Switzerland, his watch isn't going to compete with the next Galaxy Gear or the newly released Moto 360, It'll compete with the likes of Tag Heuer, Mondaine and Rado. This is why I think Eddy Cue wasn't exaggerating when he said Apple's releasing it's best products in 25 years this fall. A Version 1 iWatch which takes on the likes of Tag Heuer is going to be a huge feat to achieve for anyone! P.S. The title of this post is inspired from a comment that Jony Ive is rumored to have made during the development of iWatch and has nothing to do with Switzerland.